***Authorized Dealer of Vista Window Film*** Sun Scape Window Tinting is a subsidiary of Professional Installation, Inc. Our company is locally owned and operated by Kerry & Paula D’Antoni and Mark Root. Residential and Commercial window film has been our business for more than 35 years. 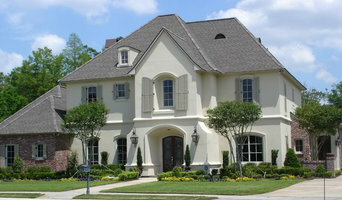 Sun Scape is the exclusive Vista® Platinum Window Film dealer for the Baton Rouge and New Orleans areas. We are also the exclusive Insolroll Window Shading Systems and QMotion Window Shading Systems dealer for Baton Rouge and surrounding parishes. Sun Scape can help you with any residential, commercial or industrial window film or shade application. Our product line includes Vista, LLumar, and EnerLogic® window films, which are products of Eastman Chemical Company, the largest manufacturer of window film products in the world. Let Sun Scape help you find a window film to fit your needs. Whether it is for control of heat, glare, or fade protection or all three, we have a solution for you. Nestled under oaks and crepe myrtles, our shop is located on three picturesque acreas in Louisiana's newest incorporated city, the City of Central. Our fabrics and design are as unconventional as our setting just like your home is as unique as you are! If you dare to be different, a creative thinker in a cookie-cutter world, then welcome to our world at Flax! At Flax Fabrix, we offer timeless and trendy fabrics for all of your decorating needs for every room in your home. Our goal at Flax is to make seamless service and client satisfaction a common thread in all we do. We offer a great selection of in-stock fabrics ready to go and a beautiful design center stocked with custom-orderable fabrics, all at prices that will make you smile. Come find your common thread at Flax and make your nest beautiful. We are a locally owned and operated Hunter Douglas Showroom serving Baton Rouge, Lafayette, New Orleans, and surrounding areas since 1996. We are a full service residential window product company with a Hunter Douglas Gallery showroom. We also provide screening solutions to control solar and insect issues for patios and outdoor kitchens. Let our designers work with you to provide stylish products that also can be motorized to fit with Smart Home applications. We have a certified motorization specialist in-house to work with your home automation provider. If you are looking to install new window coverings for your upcoming project, give us a call today at (225) 412-6373 or click the "Contact Me" button to send us a message. We look forward to working with you! We have been in the custom window treatment business for over 18 years. We offer a wide selection of contemporary and classic blinds, shutters, shades, drapery and beautiful hardware to complement any living space. We are an in-home company, so we bring all our samples directly to you in the comfort of you own home or business. Our goal is to help you choose the right window treatments with a stress free experience. Manufacturing designer readymade panels and custom , shades., woven blinds, bedding and hardware. 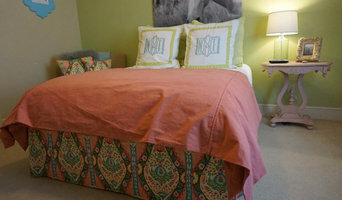 Georgetown Designs is a custom drapery workroom located in Baton Rouge, LA. 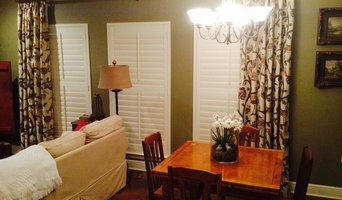 We work with both homeowners and interior design professionals to create unique window treatments and other soft furnishings for homes and offices. Our services include window treatment design, fabrication and installation, as well as the sourcing of designer fabrics, trims and hardware. We can slipcover your sofas, ottomans, or wingback chairs and we love making beautiful, custom pillows of all shapes and sizes. We also offer monogramming and custom embroidery on any of our soft furnishings. Already know what you want? We will fabricate your vision for your room. Don’t know where to start? We will work with you to create a look that is uniquely you. Contact Georgetown Designs and learn more about how our custom work can enhance your home or office. NOTE: : I am only taking dressmaking projects at this time, due to house renovations and adjusting to motherhood. Questions and quote requests are always welcomed though! : : This is a sewing workroom in Zachary, LA, which produces high-quality custom-made interior design items including curtains, shades, valances, slip covers, pillows, bedding items, and more. I am happy to work with interior designers, but I am also available to individuals who want to do the designing on their own. Dream up your plans and let me stitch it into reality! Hebert Blind Company first opened in 1951. Now, with three generations of experience behind it, we’re the oldest and most reliable blind company in Baton Rouge. Our experience means that we can handle any type and size of job, both commercial and residential, from your home, to schools to hospitals. We can work from the ground up. Customer service is our top priority. We pride ourselves on fast service and attention to detail. Our staff is dedicated to providing friendly and knowledgeable services. We’re happy to work with you to meet any project requirement – You can stop by our showroom or call us to make your appointment for a FREE ESTIMATE. SUN MILLWORKS is committed to the satisfaction of each and every client and understands that a home is a unique expression of its owner, not just an imitation of its neighbor. That is why each piece created in our millwork shop is given special attention to all of the details that make it one of a kind. SUN MILLWORKS has been crafting unique custom doors, windows, and shutters for over 20 years. Our custom designs are crafted with functionality and old world esthetics in mind, resulting in an architectural element of quality and beauty. Our unwavering commitment to the vision of doing “what’s right” and not just “what’s easier” allows us to create openings that not only enhance the character of the home, but of the owner as well. Along with the endless design options available at SUN MILLWORKS, we also carry a wide array of hardwood species from which to choose. Choices include, but are not limited to, Spanish cedar, cypress (new, old and sinker), mahogany, knotty alder, oak (red and white), ash, and poplar. I am an Interior Designer specializing in Drapery Design. I am lucky to love what I do everyday working with unique people and spaces. My inspiration is found in bold prints mixed with vintage style! We are a full service, to the trade, drapery workroom that handles all the measuring, sewing, and installation needs of local interior designers. We work out of our home, which means no overhead costs, which allows us to offer a high quality product, for a reasonable cost. We also have free installation on our products. The next time you are in the need of window coverings please check with us first. 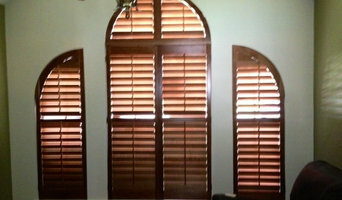 When it comes to blinds and shades, no one beats all that Baton Rouge Shutters, Blinds & More has to offer. With over 20 years of expertise under their belts, their shutter company provides homes with perfect window treatments at the right price. They are able to fit all types of windows with their treatments as they have a large selection of window shades, shutters, and blinds. Baton Rouge Shutters, Blinds & More delivers the showroom to their customers so there is no wasting time or gas. They carry the name brands that people want in a window treatment.